Paul Gilbert’s electric riffing has been replaced with acoustic strumming and Pat Torpey makes do with what sounds like a minimal kit and some percussion gizmos. For the most part Billy Sheehan seems to be using his normal rumbling bass tone. So far for unplugged. There’s strings in the background as well. To add that certain je ne sais quoi, presumably. Does any of this add to the songs? Not really. All they’ve managed to do is remove the rock. There is not a single tune where I don’t prefer the original version. Gilbert’s tone isn’t quite as plasticy as for instance Michael Schenker’s but there’s still way too much piezo in there. Needless to say it doesn’t mesh with Sheehan’s grinding bottom end. Flawless execution of a poor idea. Very hard to rate. Rating – 90% for the musicianship and songs. Review by Your Daddy Brother Belgian Lover Boy Sancho. 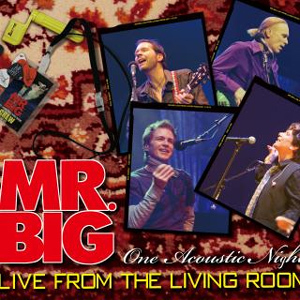 This entry was posted in Reviews and tagged Billy Sheehan, Eric Martin, Live From The Living Room, Mr. Big, Pat Torpey, Paul Gilbert. Bookmark the permalink. The Polish bruisers are back! And with every album they’re getting a bit better. 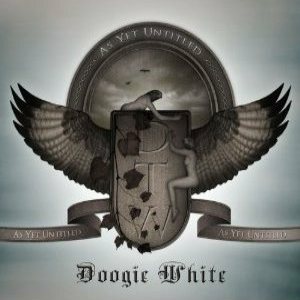 Their last album, “Legends” still left plenty of room for improvement. On “Crimen Excepta”, we’re starting to see the true potential of this band. Opening track “Witch’s Mark” is a scorching metal track with over the top vocals and plenty of incendiary guitar work. “It’s Your Omen” kicks off with a blatant Maiden style riff. Whoever thought the keyboards were a good idea should be shot though. The keys do work on the King Diamond style intro to “Fire Be My Gates”. Singer Marta has improved quite a lot. Check “Medicus Animarum” for instance. Crystal Viper doesn’t fall in the same trap most of their European contemporaries blindly stumble into. No happy metal, no triggered bass drums, no plodding, contrived singalongs. 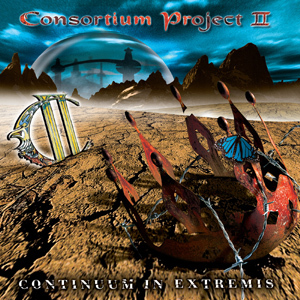 Plenty of Iron Maiden influences combined with typical 80s German metal stylings. The songs are fairly strong in general, the musicianship is more than adequate (Andy Wave has a major Dave Murray fetish going on) and production is actually quite good. After their disastrous live album, I would not have given two cents for this band. But lo and behold, they’re actually quite enjoyable! Review by an open minded Sancho. 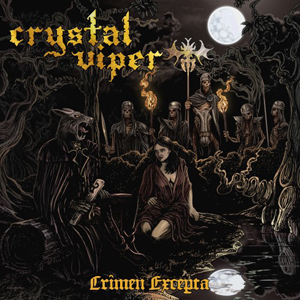 This entry was posted in Reviews and tagged Crimen Excepta, CRYSTAL VIPER, review. Bookmark the permalink. Simply said one of the finest guitarists to have emerged in the 1970’s. Montrose’s self titled debut album released in 1973 set the blue print for all hard rock albums that would follow. Even today some 39 years later the album stands up as one of the best sounding and best crafted hard rock albums of all time. Yes the band gave the world Sammy Hagar but its Ronnie’s massive riffs and classy lead work, not to mention one of the biggest and best Les Paul into a cooking Marshall tones you will ever hear that have made its mark on history. Further works with the band that carried his name, along with solo records and Gamma all showcase a supremely talented musician, yet one who in recent years never got the attention he rightly deserved. 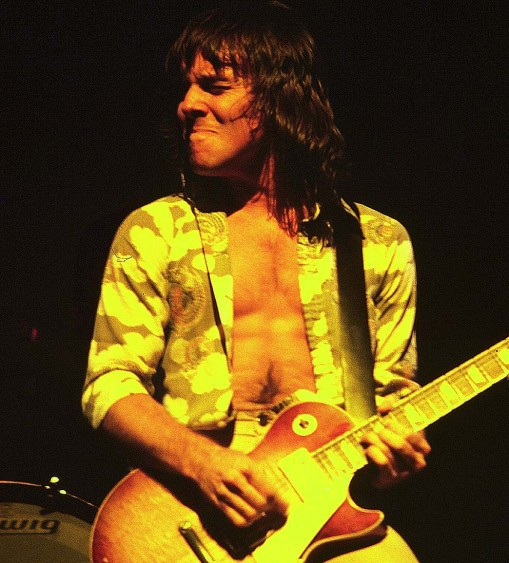 Ronnie Montrose rest in peace. 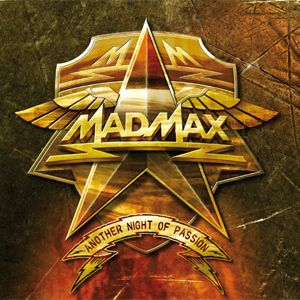 Mad Max’ original run in the eighties culminated in the album “Night Of Passion”, a decent slab of melodic hard rock. “Night Of White Rock” was a good comeback, but its successors were less than impressive, doubtless not helped by the fact bandleader Michael Voss is spreading himself rather thin of late. Verily, not a melodic rock project seems to go by without him offering his services. The mission brief seems obvious : with a title like “Another Night Of Passion” the band are aiming to follow up their most acclaimed album. I’ve been fairly critical of Voss of late, as his meddlings have done more bad than good on several occasions. But… this is an enjoyable album. Seems like Voss is keeping the best tunes for his own band. “40 Rock” or “Fever Of Love” for instance would probably have had a good chance at airplay in happier times. “The Chant” is another stand out track. Not every song is killer though. “Black Swan”, much like the movie of the same name, does not live up to expectations… There’s plenty of cool riffing but a bit of extra lead guitar flash would have been more period correct. After Vengeance, the second band this year to surprise me with a solid album. This entry was posted in Reviews and tagged Another Night Of Passion, Mad Max, Michael Voss, review. Bookmark the permalink. Everyone knows the history that’s led up to “A Different Kind Of Truth” so let’s just focus on the music. I am glad David Lee Roth is back, granted his vocals might not be in their full bare chested primeval roar of the bands heyday, and the years of Marlboro abuse have seen his range drop an octave or two, the band sounds right with Roth to these ears. 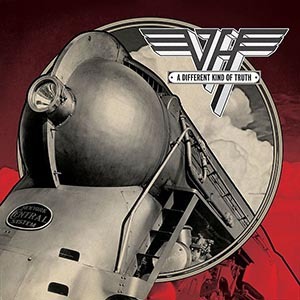 Anyone expecting a remake of VH1 is surely missing the point, the band evolved over their six studio albums in their earlier days and this album is no different. Whilst there are traces to the bands roots notably the reworking of pre VH1 demos of “She’s The Woman”, “Big River”, “Outta Space” and “Beats Workin’” (all of which ROCK big time) there is also a savy modern commercial edge and punch to much of the material, this doesn’t sound like band effectively in their fourth decade of making music. Opener “Tattoo” seems to be a love/hate number, I for one have loved it since its first spin, with its chorus refrain being catcher than anything else heard in the last 12 months. The laid back “You And Your Blues” is a class tune, interesting riffs and good performances, the same can also be said of “Blood And Fire” which grooves in a ‘Diver Down’ sort of way, good time commercial radio rock, this sounds great in the car when the sun is out. And yes Dave we did miss you and we mean it. “Honeybabysweetiedoll” sees Roth manage to lay down vocals over an intangible musical backing and whilst rather chaotic the track works, and could be seen in some ways as a tribute to Eddie’s friendship with Dimebag musically. “The Trouble With Never” is another cracker, superb bluesy riff with a guitar sound to die for. Roth raps in his inimitable style and Wolfie and Ed manage to do a passable Michael Anthony backing vocal on this one. “Stay Frosty” is quite obviously an update on an ‘Ice Cream Man’ theme yet good fun and album closer “Beats Working” has more vintage/modern charm to it. That’s not to say everything hits the mark “China Town” seems all huff and no blow, the same could also be thrown at “Bullethead” which is rather throwaway, that said to hear the Van Halen’s pounding on a groove normally gives good value. “As Is” seems to suffer from a lack of identity and is very disjoined and the weakest track on offer yet these don’t distract too much from work elsewhere. Sonically the album is high gain, Eddie’s tone is very processed but still sounds good for the most part. Wolfgang holds down the bottom end with ease and Alex is his usual all over the kit self. Roth is the icing on the cake. “A Different Kind Of Truth” may need a few spins to settle in, but it’s worth it. Hopefully they can hold it together for some European dates and another album. This entry was posted in Reviews and tagged A Different Kind Of Truth, Alex Van Halen, David Lee Roth, Eddie Van Halen, review, Van Halen, Wolfgang Van Halen. Bookmark the permalink. French progressive metallers return after a 7 year absence with 3 new members (including new vocalist Gus Monsanto (ex Adagio) and “Perspectives” shows the time away has been well spent. The bands last offering “7 Deadly Songs” was a good body of work, yet one that lacked a decent production. “Perspectives” continues down a similar path yet comes aided by a better sound. Monsanto fits well into the bands take on prog metal and the album has enough of an original edge to maintain the interest of even the genres most hardened cynic. Fusing strong guitar parts with a massive amount of melody from both vocals and keyboards this is a rich music tapestry. Special mention must go to the drum work of Marco Talevi who manages to balance the fine line of groove with technical proficiency. Laurent James is also no slouch in the guitar stakes, although his guitar tone is a little lifeless. Stand out tracks are opening number “Imago”, the riff-tastic “Warmth In The Wilderness” which fuses strong guitar riffs with great keyboard work and the 8 minute “Raindrops On My Wings” which sees great musical interplay from the whole band. 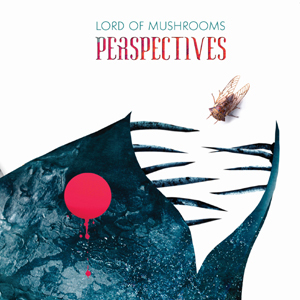 “Perspectives” is by no means an immediate album, it does take repeated spins to reveal its true depths and make sense but given time it’s a very strong offering indeed. Welcome back Lord of Mushrooms. 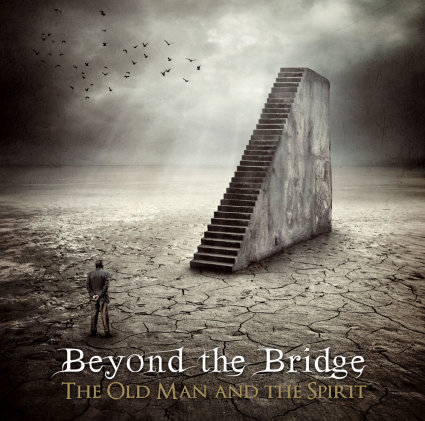 This entry was posted in Reviews and tagged Adagio, gus monsanto, Lion Music, Lord of Mushrooms, Perspectives, Progressive metal, review. Bookmark the permalink.